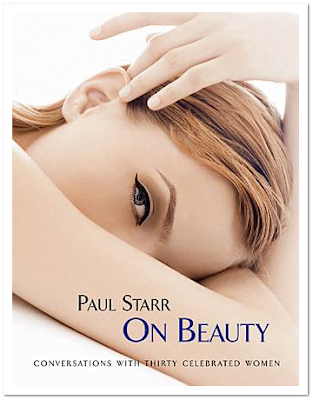 I love beauty books that are filled with gorgeous pictures and inspirational how-to guides, so for tonight's gift suggestion I am recommending Paul Starr on Beauty. Paul Starr is one of my favorite make up artists. I had the invaluable experience of assisting Paul as a young make up artist and consider myself extremely lucky to have observed the master at work. I learned so much from Paul, both about make up artistry, and life in general. We tragically lost Paul a little over a year ago, which puts an even greater urgency on his work. It has been so sad to me that we will never see another face made up by Paul Starr. This Holiday I would like to celebrate Paul, his beautiful, meaningful work, and his commitment to beauty. Paul's book is brimming with gorgeous pictures of his work, interesting interviews with his celebrity subjects, and an easy to follow how-to guide with some of Paul's favorite tricks. I highly recommend this book for any make up artist or beauty addict! Tonight's gift idea, Chanel Nail Varnish! Over the past few years I've become somewhat of a "collector" of Chanel Nail Colour. They make amazing shades, a lot of which are limited edition. It's a nice, colorful gift, and how can you go wrong giving a gift with those cute double c's? At $23, it's the perfect for coworkers or school friends. 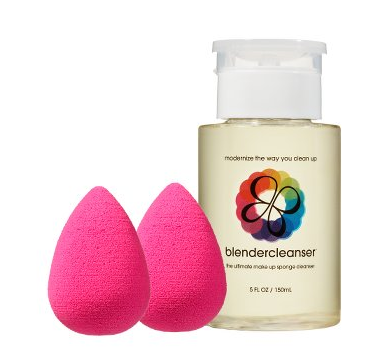 Tonight's holiday gift suggestion is a tool I can't live without, the beautyblender. This little pink sponge will change the way you do make up. Dampen the sponge to blend your foundation seamlessly. The unique shape allows for easy blending and application under the eyes and in any creases. Also, the sponges are reusable so it's a great way to be environmentally responsible! I don't know how I ever lived without them! 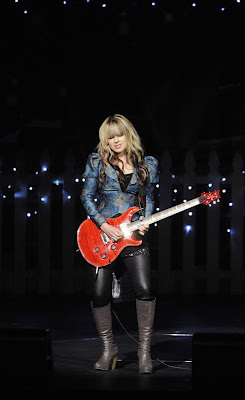 I spent my day and evening working with Orianthi for red carpet, interviews, and her performance at KIIS FM's Jingle Ball. It's been a long night, so no gift suggestion today, but I promise to make it up to you tomorrow! I've received some really sweet emails lately asking why I've fallen out of the blogosphere. Thanks for noticing! I've been so busy with my work as a make up artist, I've had very little time or energy to update this blog. I've been anticipating the release of Tarte Treasure Chest for months now! Tarte releases a holiday Treasure Chest every year, and it always sells out. 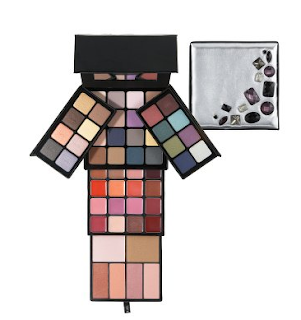 This year, they've added another layer of eye shadows for the same great price! This is a must for your make up kit, or personal use! I love Tarte because not only do they make beautiful make up, it's all natural and paraban free! On another note, I'm so excited that my clients the Ting Tings are nominated for a Grammy in the Best New Artist catagory! Here's a shot I did with them from the latest issue of Paper magazine. Well, see you tomorrow? Same place, same time(ish)?